Salming has really shown up in the US market over the last year, and their shoes were included in two of my top 3 lists from my best of 2015 post. The Salming Distance is one of the best riding, all-around road shoes I’ve run in – it’s similar in application to something like a New Balance Zante, but I feel it has an even better overall package and ride (hint to those who like the Zante :)). Salming graciously offered to send me the new 2016 Speed, which they are calling the Speed 3. 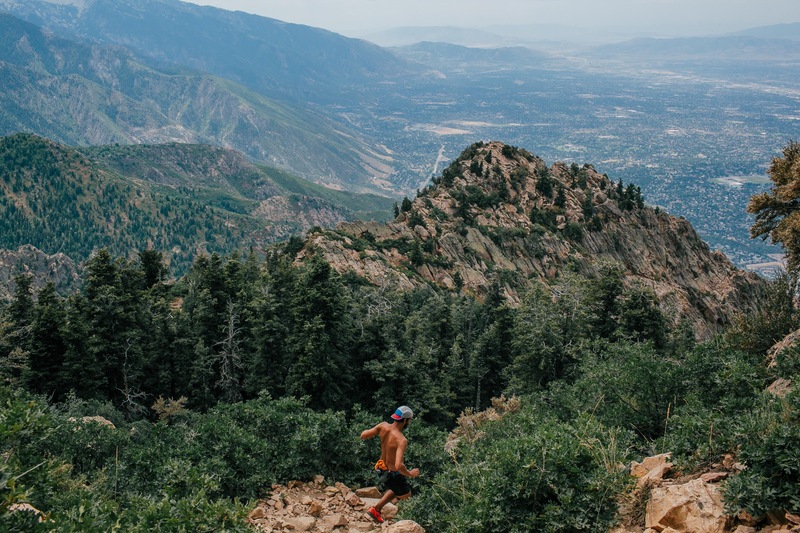 The Speed 3 sits right in between the Distance and Race in almost every category (stack height, weight, geometry), yet shares the same Salming characteristics that I’ve come to look for after running in the Distance and T1 trail shoe. More on the specifics below. The upper is pretty much the same as the Distance. Salming uses a 3-layer upper design. The outer layer is a harder, nylon-type mesh, with welded overlays on the inside. The inner layer is a booty-style liner of softer mesh that also connects to the tongue. The end result is a pretty comfortable interior, and I was able to go sockless for an entire marathon in the Distance, which has a similar upper to the Speed, with no issues. The Speed 3 has a thinner lining material than the Distance, but it’s basically the same design. Overall, the fit of the Salmings are quite good for my tastes, even though there are two notable fit issues. The first is that the shoes fit about a 1/4 size long, but are somewhat narrower than average. This issue pretty much resolves itself since I would probably want to size up about a 1/4 size based on width anyway. The second issue, which I’ve had with all Salmings, is the the way they do the eyelets for their laces using fabric loops. It’s an easy fix for me since I just cut off the loops and punch holes in the fabric that is already used for eyelets up higher on the shoe. This provides a much more secure fit for me in the midfoot, and only takes around 5 minutes to mod using a leather punch like this. While I don’t feel I have a super low volume foot, I’m definitely on the medium to low volume end of the spectrum, so those of you with more medium to higher volume feet should be fine with the shoes as they come. Salming Speed 3 on left and Distance on right. Very similar uppers. Speed 3 has a new toe cap, and also doesn’t have the 2 overlays over the toebox. Almost everything else is the same. I thought the midsole on both the Distance and Race were quite good. Salming uses their own injection molded RunLite compound – it has a firm feel, but has good responsiveness. Not quite as good as adidas’ adiprene+ or Skechers’ new 5Gen, but still a very good midsole material that provides a fast, responsive ride with just the right amount of give to be forgiving on longer outings. The Speed 3, as well as all the updated forthcoming 2016 models, will feature Salming’s new RunLite 2.0 midsole that seems to be lighter and yet just as, or even more responsive. The Speed dropped over 15 grams (.5 oz) in my size 13 from the 2015 to 2016 model, which I think is entirely from the midsole, and is not insubstantial. The ride of the Speed 3 sits in an interesting zone where it is fast and sharp enough to race 5k and 10k races in it, but also has some potential for the 1/2 marathon and marathon depending on the runner (very similar to the Skechers GOmeb Speed 2 and to some extent the GOmeb Speed 3 for me; yes both named Speed 🙂 ). I’ve run it recently on a 15 mile run that included some tempo work and felt like would be enough shoe for the marathon for me as long as I’d spent some of my training block leading up to it in more minimal/lighter shoes. The only question mark on what is otherwise a fantastic ride and geometry is that they left out the midfoot shank on this model. Both the Distance and the lighter Race have one, and it is something I think that would be nice to add to the shoe at some point, although I will say I didn’t feel like it was noticeably absent. One last thing of note is that the Speed 3 has a new insole that is made out of EVA rather than the memory foam like material that has been in all the other past Salmings. This is a change I like since it adds just a hair more responsiveness and is also a bit lighter. Midsoles are pretty similar with the Speed 3 being just a bit lower and narrower in profile. The geometry feels nearly identical which is a good thing. The outsole is pretty similar in design as well to the Distance and Race with just different parts taken away or smaller in some areas. One interesting thing to me is that the Race, which is over an ounce (30 grams) lighter, has more rubber coverage (and a shank), while the Speed 3 does not. So far I haven’t felt like this was an issue, but an interesting design choice to me overall. I will say that all of Salming’s road shoes have issues with outsole durability. I’ve put 80 miles on my Distance, and around 35 on the Speed 3, and they already have noticeable wear on the lateral midfoot and lateral heel, something I don’t usually see in most shoes till at least 100-150 miles. The interesting thing is that Salming claims to have used a new rubber compound starting with the 2015 models, and they say it is 3 times more durable than before. I’d hate to see how quickly it came off before! I think part of the issue is that they choose to go with a more podded design to the rubber placement, and also have thin lines that act as a tread pattern that will wear quicker than solid pieces. Of any of the features, outsole wear is one that they will need to address in their road lineup going forward, especially given the higher price tags for their shoes. 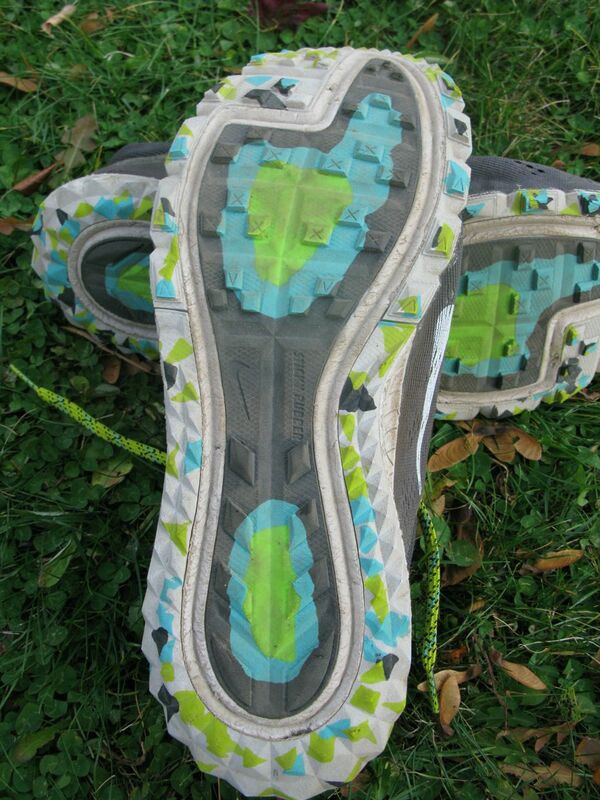 Of note, the outsole on their trail shoe, the T1, holds up really well, so maybe they could start by looking there. Speed 3 on the right in this picture. Less outsole coverage but a similar overall design. I thought the lack of medial heel rubber would be an issue, but because of the lower stack height and good flexibility it has not been noticeable. All said, the Salming Speed 3 is a great racing shoe that can handle longer outings just fine. 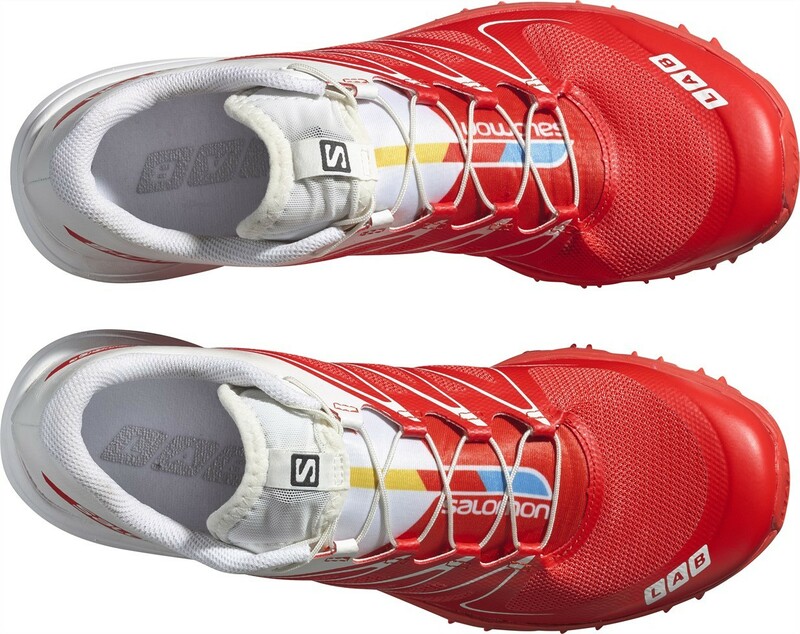 The signature, efficient Salming ride is present in an incrementally sharper feel than the Distance, and incrementally more cushioned feel than the Race. Where as the Distance feels like a trainer with speedy tendencies, the Speed 3 feels like a racing shoe through and through, but it has range to cover quite a few types of runs. If Salming can increase outsole durability, and maybe bring the prices down just a little, I would have little reason to not recommend what are some of the best riding shoes on the market if you like a natural and efficient riding shoe. 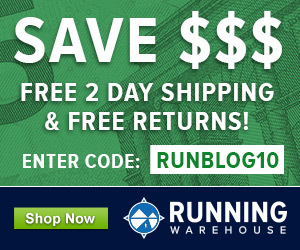 The Salming Speed 3 is available for purchase at Running Warehouse and Salming.com. Nice review! The Speed was always an intrigueing shoe for me, but at first sight i felt issues with the forefoot flexibility, that prevented me from giving these shoes a serious try. I found them quite stiff in the forefoot, does that get better after a certain period of break-in time or do they basically stay on the stiffer side ? Yeah, the Zante…and its v2 update…still bothered about that, haha. The existing reviews seem to like it so far, all i feel under my foot is a significantly flat feeling ride, which makes the Zante v2 an odd package for my running uses. Thanks. The Speed definitely will become more flexible after some miles. Yes, Salming runs a little more on the firmer side traditionally, but the Speed 3, with the new Runlite 2.0 midsole feels a little softer and more forgiving to me while still being responsive. Its a nice shoe really, probably a little faster feeling than the original Zante, but definitely somewhat similar shoe. Maybe any thoughts how the Speed compares to the Saucony Fastwitch 7 ? After a short test run i found the Fastwitch quite okay, good forefoot flexibility, right amount of responsive firmness, but still suitable for longer miles. I´m looking for a new trainer/racer hybrid that i can add to my rotation for workouts (10k-HM/Marathon) on road. Currently i´m using the Adidas Adios Boost, Nike Lunaracer, Saucony Type 6, Pearl Izumi N1/N0, Asics Hyperspeed 6. Yeah, thought about the Skechers GOmeb Speed 3 2016 too. But they are hard to find in local shops here in europe. I can get them online, but i was never sure about the fit. What makes them interesting for me is their good forefoot cushion, full ground contact sole without any plastic shanks in the midfoot and a slightly rockered midsole, really like those features (i imagine them basically a bit like a firmer version of the Nike Lunaracer, when you want to run long and fast in cushy comfort). How is the fit, true to size or maybe the need for going a half size up ? I have narrow feet and i´m wearing a US size 9 (just for comparison: for the Saucony Type A6 a 9.5 – fits perfect, for the Adios Boost a 9.5 – just a tad too long for my taste, otherwise very perfect fit). Skechers run large, like Mizuno. To give you an idea: I’m a 45 in Asics, and Saucony. 44.5 in Nike, 44 in Skechers, Mizuno, Merrell, and 43 in Vivobarefoot. Seeing that you have narrow feet though, and the GOmeb’s being quite narrow, I wouldn’t size up. Also, Skechers don’t have European half sizes, and a full EU size will be way too large then, I guess. Hi Flokon, thanks! Really helps to get an idea about sizing. Having just purchased a pair, I agree with you both about the fit and durability. Seems a bit shoddy that you pay so much for a shoe that probably won’t last half the distance you’d expect. The fit is as you say quite high volume and a bit narrow, not the end of the world, but they Salming can easily remedy this in future versions. Another thung that seems odd is that though, as you say, there is no shank or torsion unit, they seem to have raised the sole off the ground on both the medial and lateral side. I would have thought having the outsole on the lateral side at a continuous level would give an even better ride. All in all, a solid and most versatile shoe, but bit peeved by the durability given the price. Guess the price is just beacause of the size of the company? Just looked at the soles of my pair, aloghtly different wear, but still significant after 40 miles. Another call against the durability. The orange outsole parts are good enough. I appreciate covering the whole sole in this would add weight, but they could lose some by making the upper only two layers. Also, if they made an upper with less volume! Agreed! Lower volume upper would be nice as would increased durability. 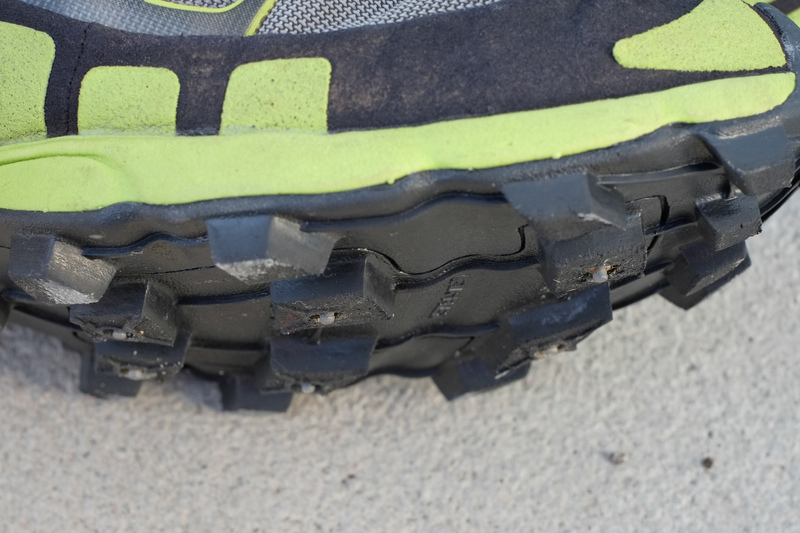 The new Miles shoe from Salming seems to be much better durability wise. I’ll have a review of it fairly soon. Thanks for the very detailed review man! This pair is incredible, perfect choice for my feet. Looks really good. Time to change my workout shoes. Thanks. I have the distance 3 and they feel too cushioned in the forefoot but I like the overall feel and fit. Do the speed feel firmer in the forefoot compared to the distance? David, not sure if you will see this or not, hopefully you will. I have been doing long runs and marathons in the GoMeb Speed, all versions up to the current pair I have of Speed 3 2016’s. I asked Skechers if there was a new version coming out as nobody seems to be getting in new stock. I really like the narrow fit, and minimal feel (weight and heel to toe drop). I liked the older versions better as they were more firm and tight, but the new version is still the best long run and marathon shoe I have found. The Salming’s sounded interesting except for the lack of durability. I generally don’t get more than 200 to 225 miles out of a pair of shoes, so less durability would an issue for sure. When I asked Skechers all they said was new colors were coming out in December. Do you know why nobody is getting new stock? Do you know when there will be new stock available? Are they changing the shoe for December, or is it just colors? I saw the new Elite model, but (a) it is expensive, and (b) like wear testing for Skechers, it only comes in full sizes. 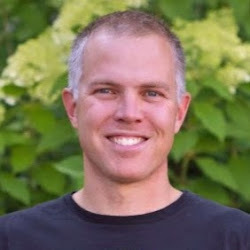 Skechers would have let me wear test, as I discussed this with them when they were here in Boulder for a demo day, but I am a 9.5 Mens, and never size up or down. No matter what the fit, 9.5 seems to work. If it doesn’t the shoe isn’t right for me, at least that has been my experience. Anyway, any info you can share as to when new stock might be available would be greatly appreciated. Also, any recommendations of similar shoes would be appreciated. Although, I have searched extensively and haven’t found a shoe like the Meb, being narrow, low heel to toe drop, and around 7 ounces. I run in the Saucony Type A also, but found it just wasn’t enough shoe for long runs and marathons. The specs of the Meb seem to be my sweet spot. Oh, I should also mention I run in the GoRun 4 2016 also. I like it, but it just is to much shoe for long runs. I tried the Hoka Tracer and found it to be less durable, and also the midsole “rocker” messed with my gait a bit. I liked them, but not for marathons. Great to hear your experience with the Meb Speeds and I agree that they are great shoes! Fortunately, there is a new model coming out! The Speed 4 will be coming in January and will look very similar to the Speed Elite, with the same midsole and outsole, but Delrin (same as in Speed 3) plate and heel counter instead of the more expensive carbon fiber in the Elite. Price point should be very similar to the current Speed 3s and will come in half sizes. As far as other shoes in this category, you are right in that there aren’t many in that 7 ounce low drop category. The Salming Speeds are pretty nice and I do think they’d get 200-250 miles at least unless you really tear through shoes. Hi David, thanks for the reply. So, the Salming Speed 3’s; do you think the run similar to the Meb’s? If so, I might give them a try from Runningwarehouse. At least that way if they don’t wear well or run well, I can exchange them within 90 days. As to the Meb’s. I am training for NYC so I really need some shoes now. The only place that seems to have Meb Speed 3’s is Shoebuy and I have had really bad experiences with them. They are cheap, but often the shoes are returns and have issues. Do you know if there is just going to be a period between now and January where the Meb Speed 3’s won’t be available? If so, that is a problem as I need them now for my training. I would try the Nike’s, and might have to, but frankly Nike’s have never worked for me. They always gave me weird ache and pain issues. But, as you seem to agree, shoes like the Meb’s are hard to find. Thanks so much for taking the time to respond. Sorry I haven’t replied to this sooner! I’m not getting notification from WordPress when comments are posted and was so busy last week I didn’t manually check for new comments. RE: Salming Speeds…they do run similar to the Mebs and that is why I like them. The Salming Distance is really nice too with a similar feel as the Speeds but just a bit more shoe…I used them in my last marathon. Hi David, thanks again for replying, and no worries on the delay. I ordered a pair of the Skechers from ShoesontheWeb and like some other pairs I have ordered this year, they have a weird bump under foot on the right heel. Not sure if it would “wear down” over time or not. I am just thinking Skechers screwed up this year. I can’t understand stopping making new shoes before the Fall marathon training and racing season. The new ones coming out in January 2017 don’t help me at all. I think all the available Meb’s are old and “seconds” or returns due to fit issues from previous purchasers of the shoe. I currently have new in the box pairs of: (1) Adidias Takumi Sen Shoes, and (2) Asics Hyperspeed 7 Shoes. Both are 6mm drop, which I don’t really want as I prefer 4mm, and both don’t feel right “out of the box” on my foot. I haven’t ordered any Salmings yet due to the cost. I am starting to freak out as I don’t have any shoes even for this weeks long run, and I am unsure about the ones I have that I haven’t run in yet. I am thinking maybe my best bet is to try an 18 to 20 mile run in my current pair of Saucony Type A shoes. I did a 12 miler earlier in this training cycle and had a bit of Achilles twinge later in the run, but that was only one run. Not sure if this is a good option or not. Anyway, thanks for the response, if you have any other thoughts or suggestions, that would be appreciated. Otherwise, good luck to you in your running, and thanks for taking the time to reply above.